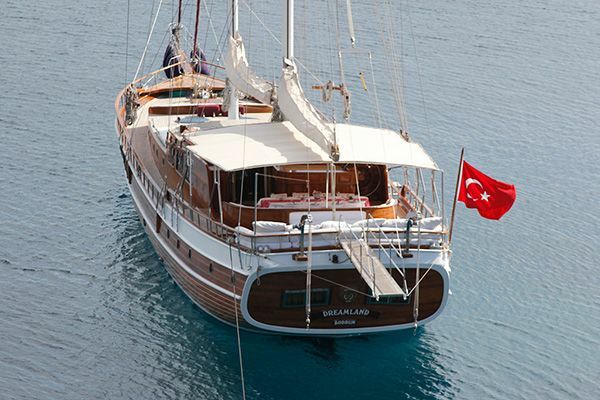 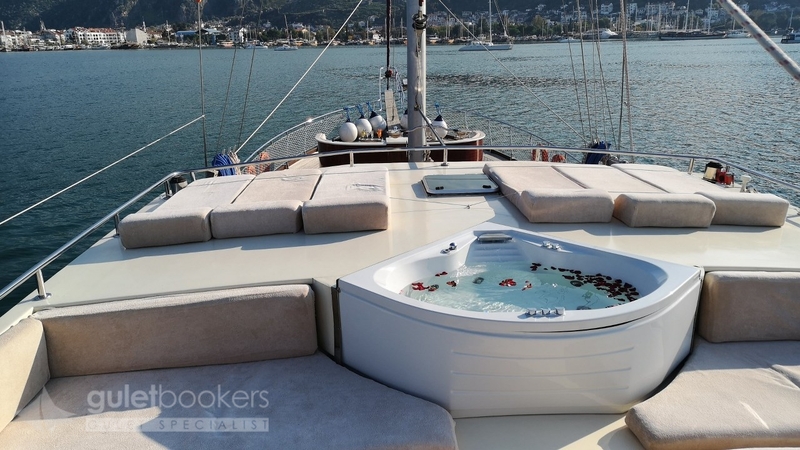 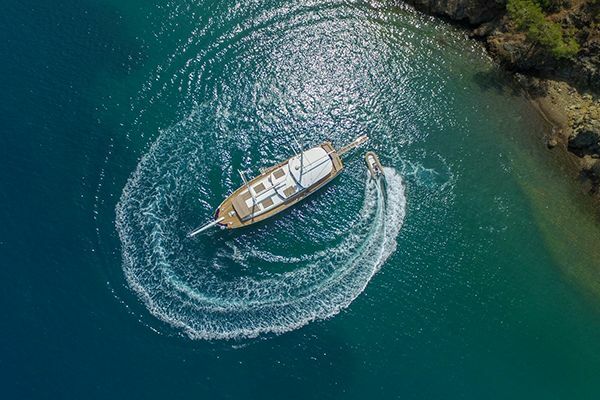 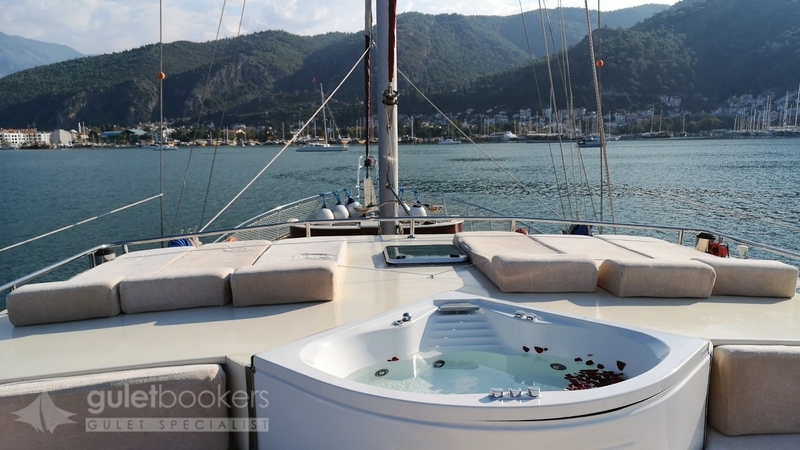 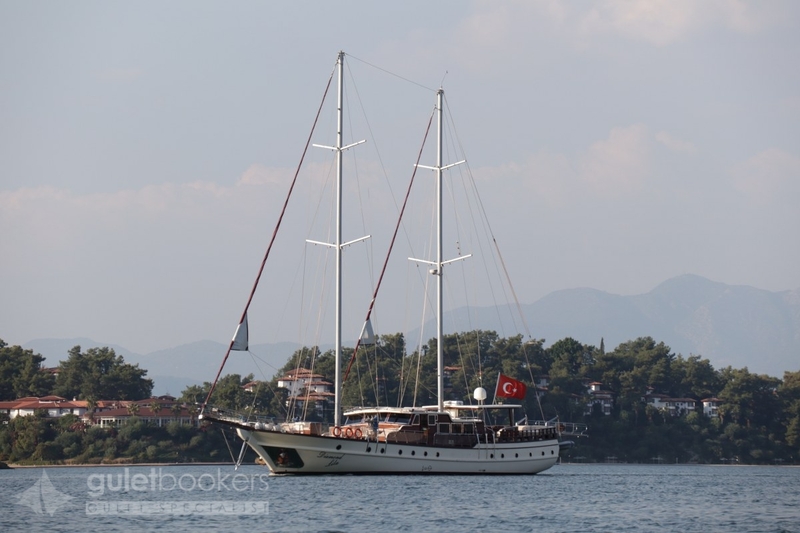 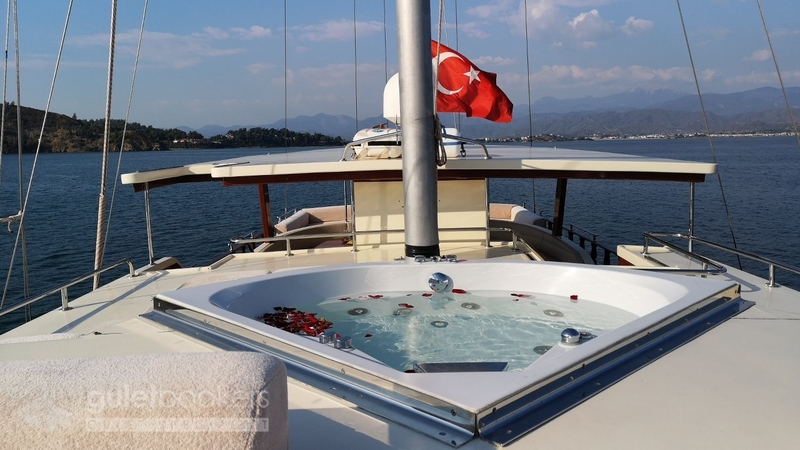 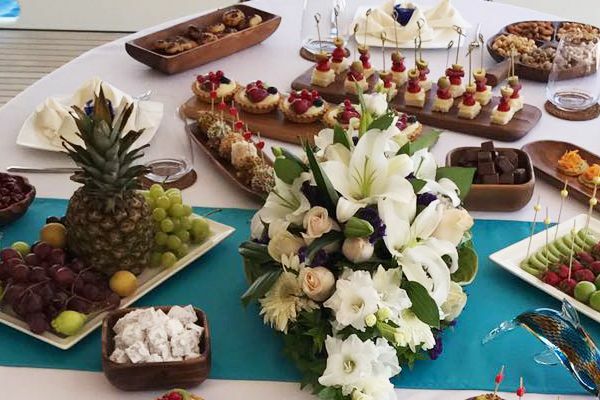 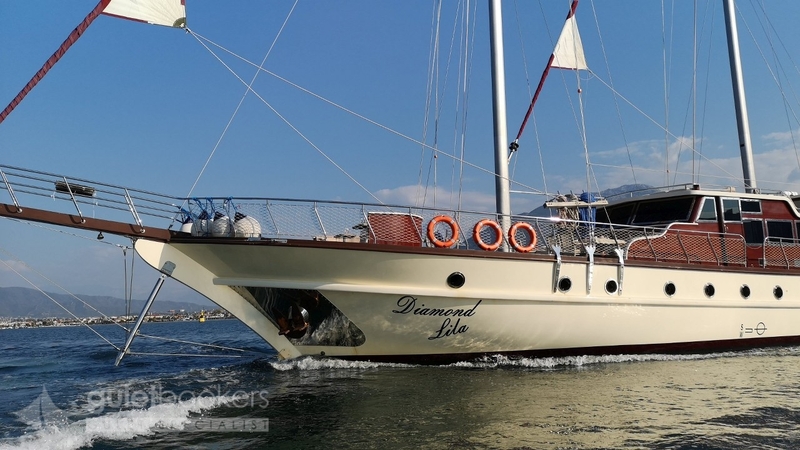 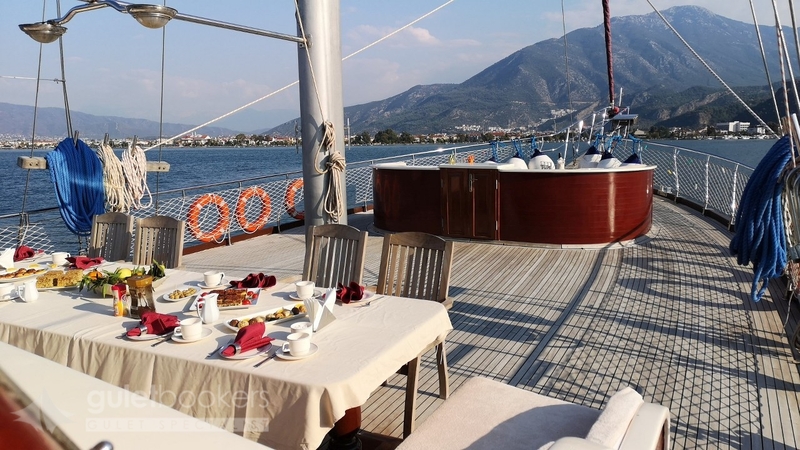 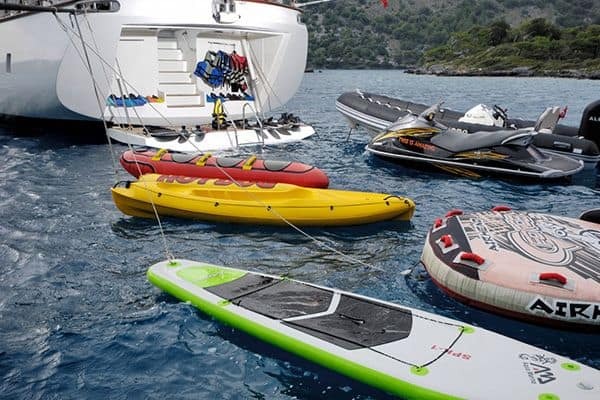 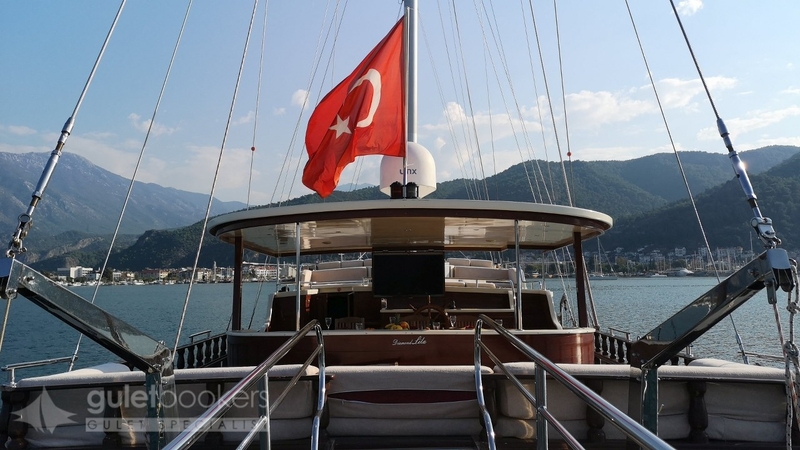 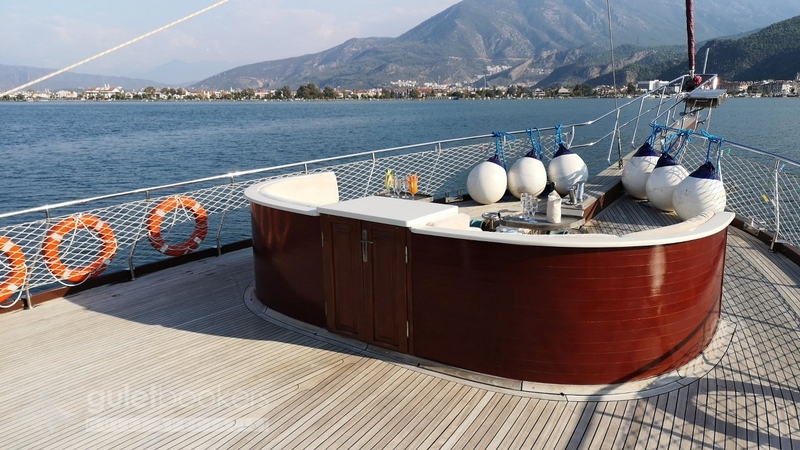 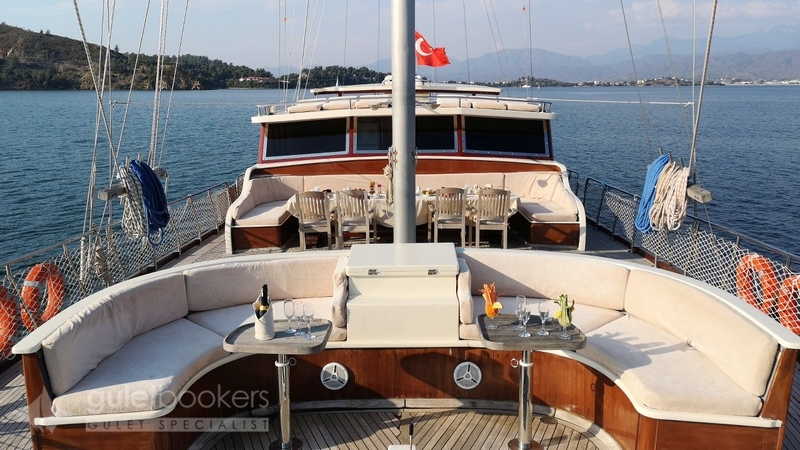 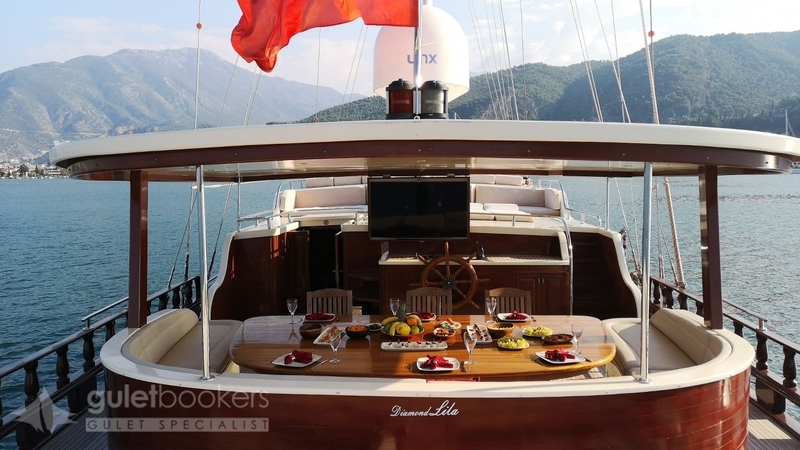 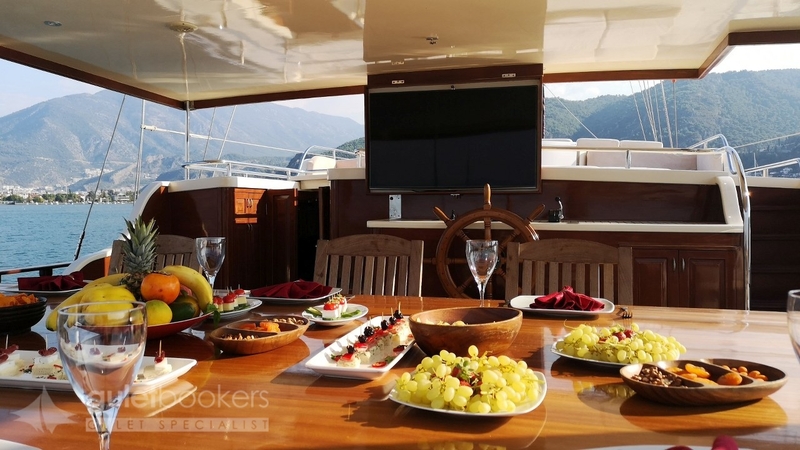 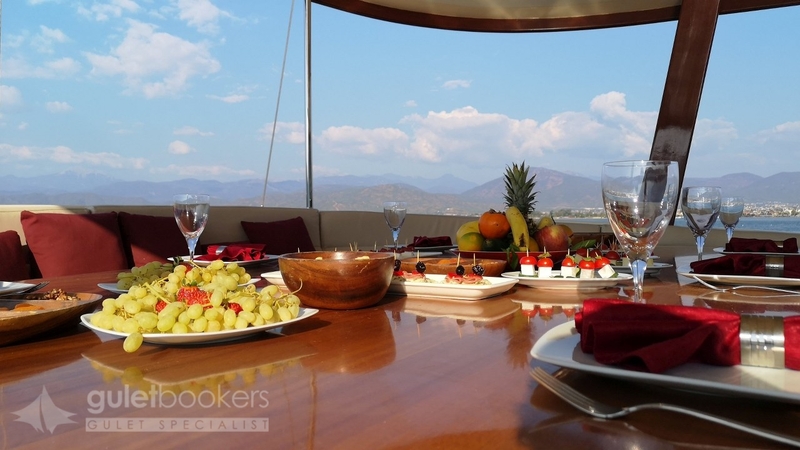 The luxury gulet Diamond Lila (formerly named Rainbow )offers a truly luxurious crewed yacht charter holiday experience in Turkey or in the Greek Islands, with an experienced professional crew making sure the guests enjoy their gulet cruise. 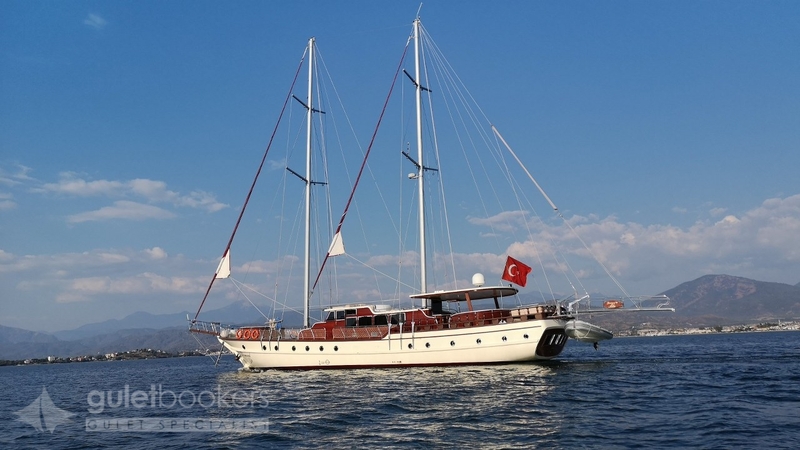 Up to twelve guests on Turkish gulet Diamond Lila will find plenty of space to comfortably relax in, either by lounging on the aft deck’s stern width cushion pad under the fixed shade awning, or taking a few steps up to the convenient saloon-top bank of sunbeds and cushions, or moving to the fore deck to enjoy the views from the front seating nooks. 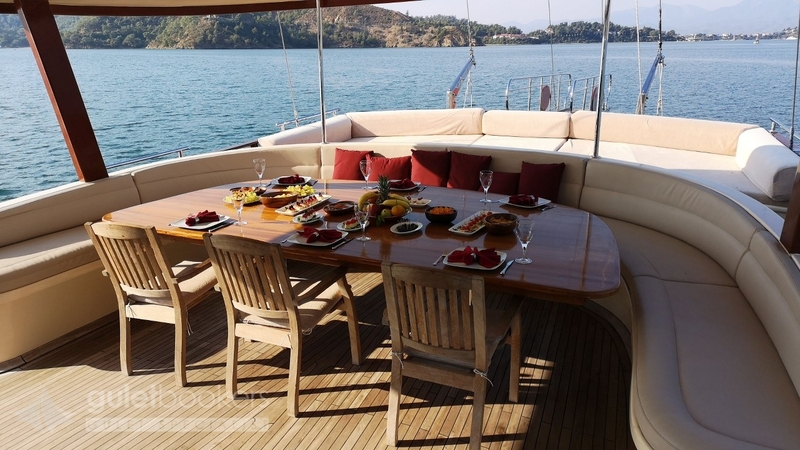 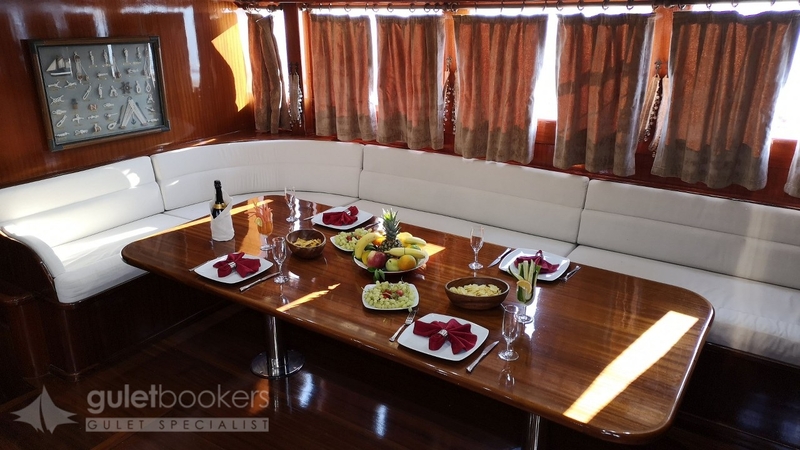 The particular design of the wooden gulet allows for two large tables for al fresco dining, one aft under the awning and the other forward with bench seats and chairs. 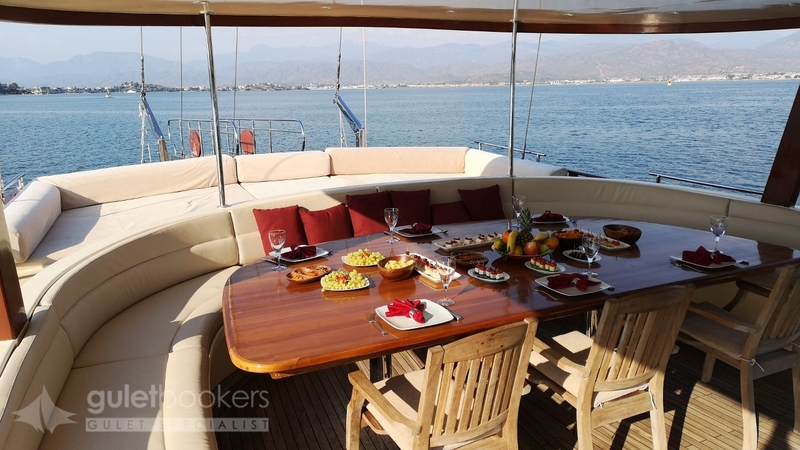 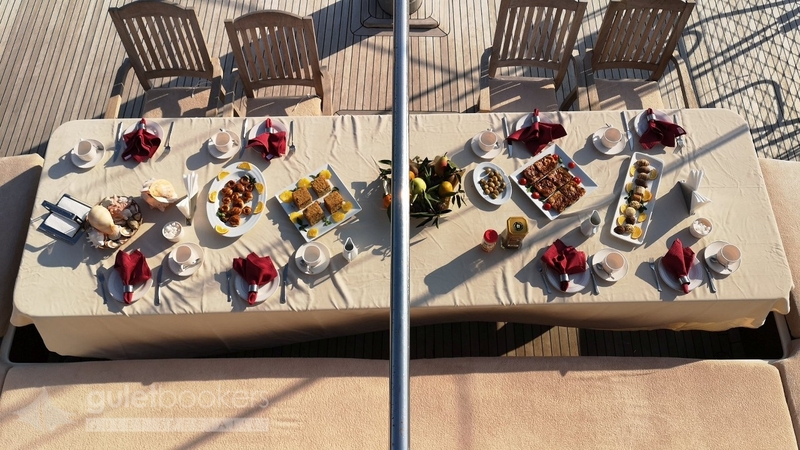 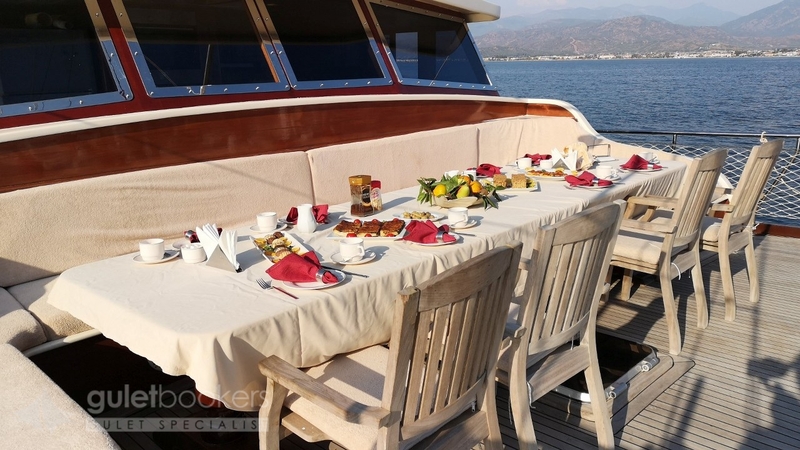 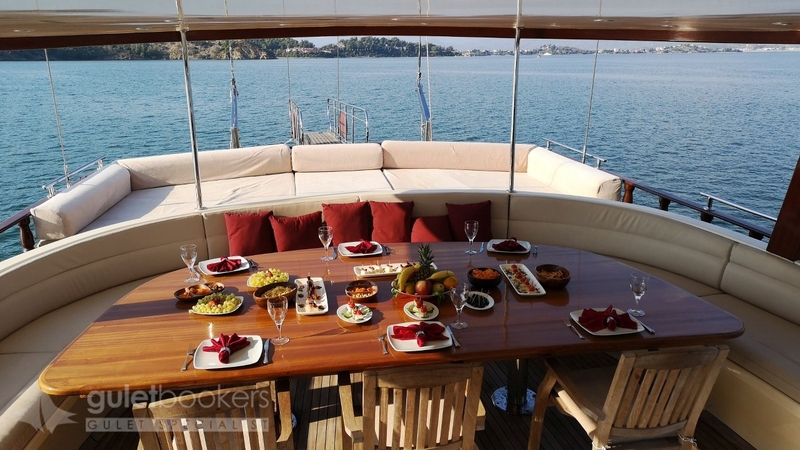 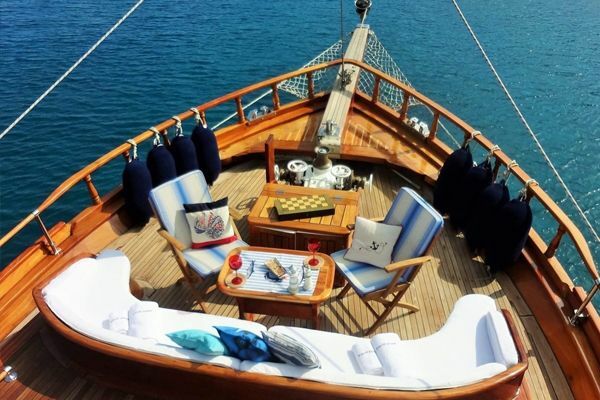 The signature red cushions, sail covers, and table layout on deck add an elegant touch to the deck. 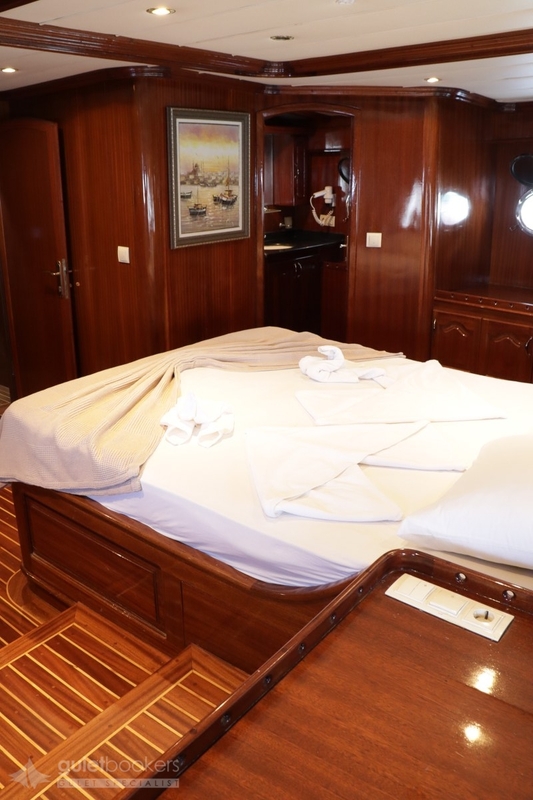 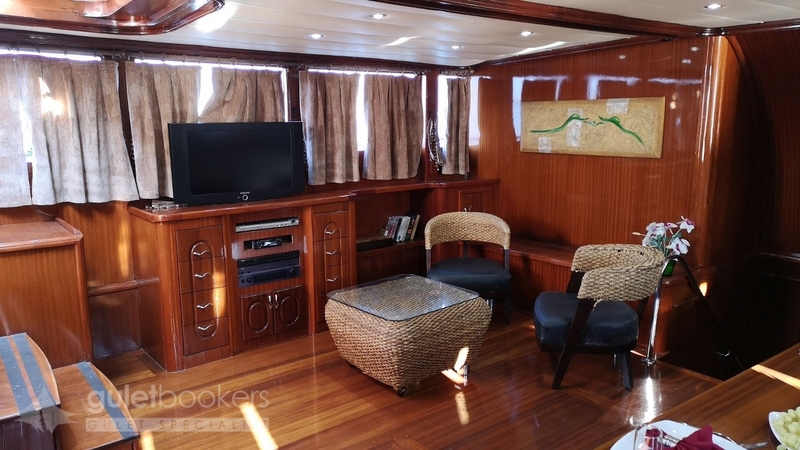 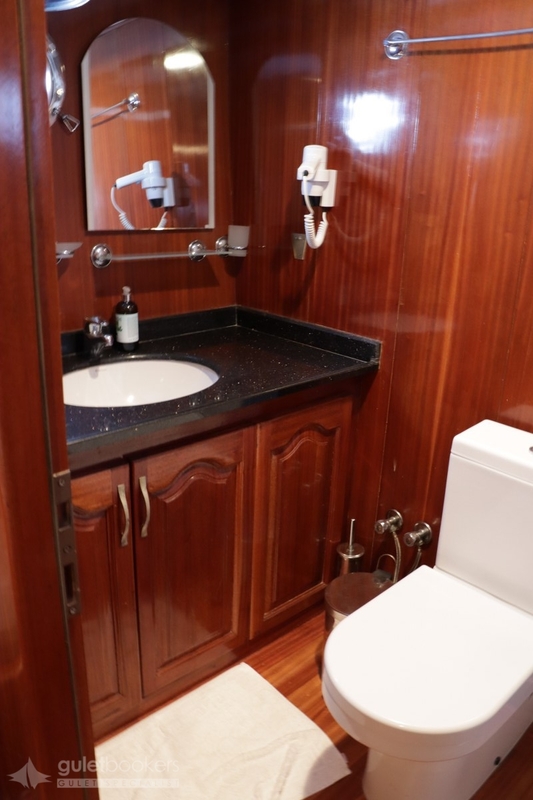 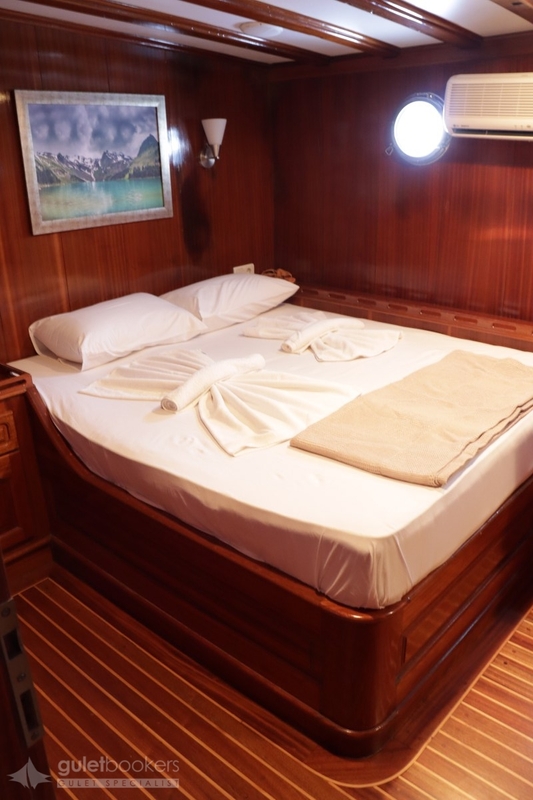 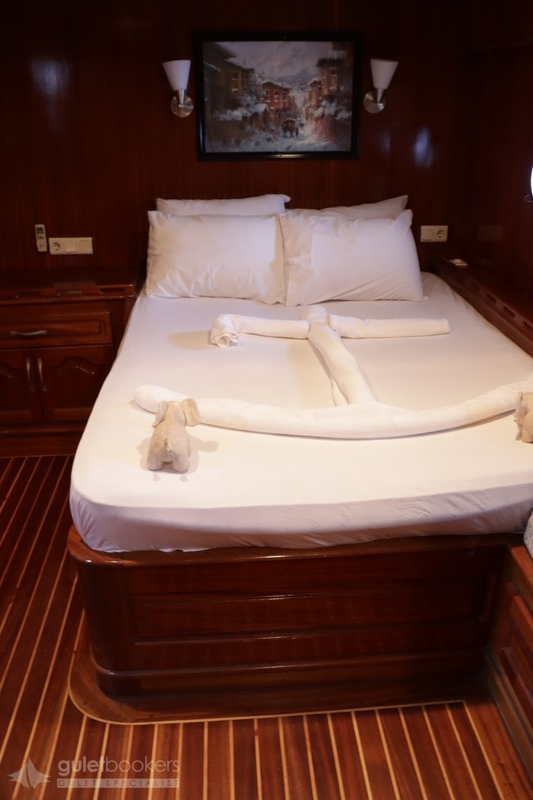 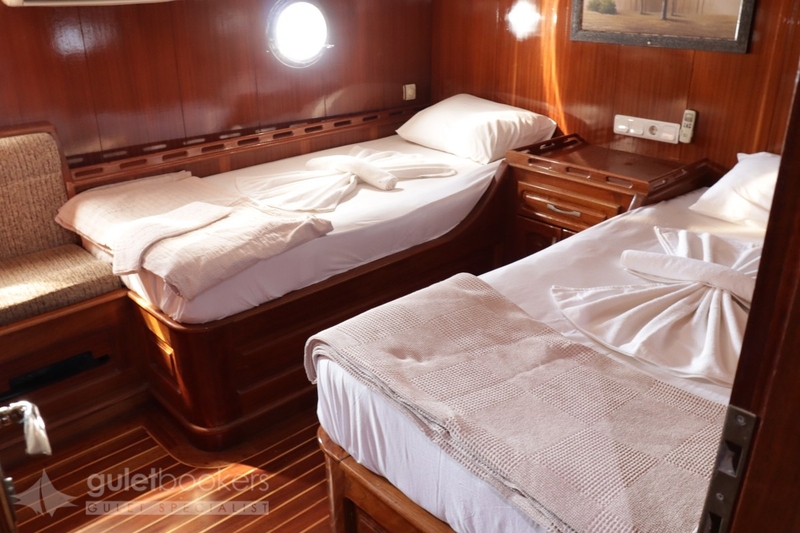 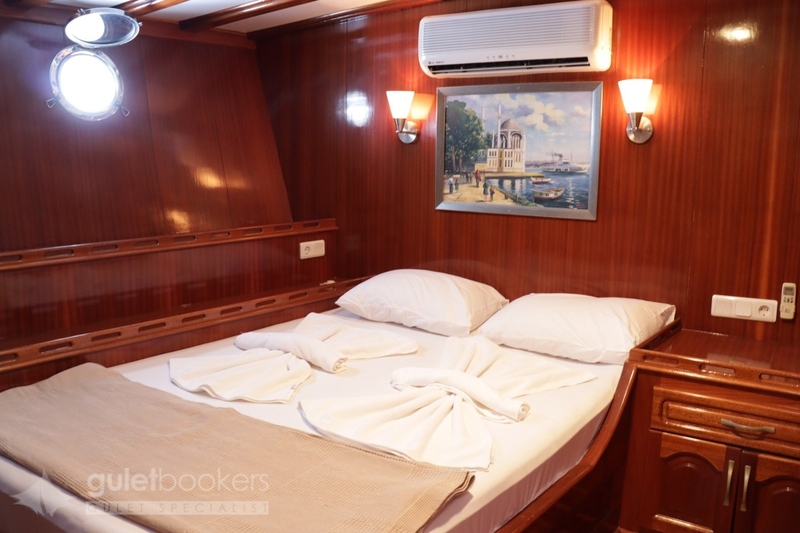 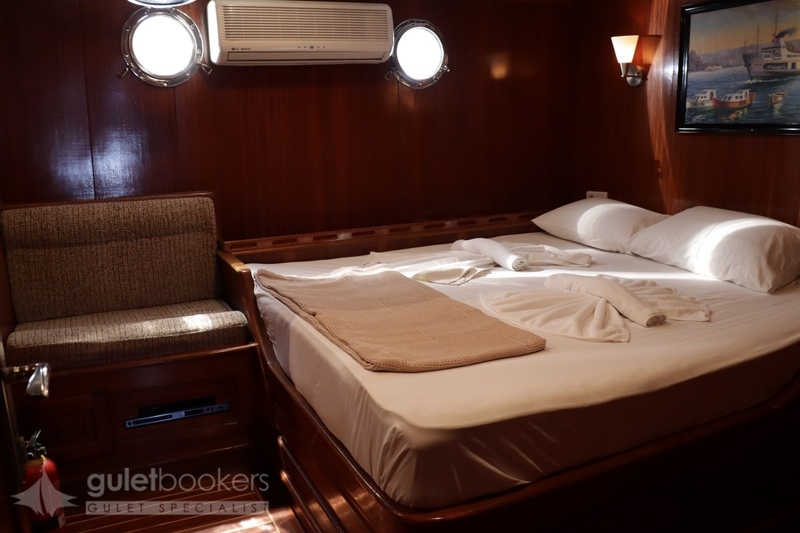 For more space to relax there is the air-conditioned indoor saloon with TV/DVD and music system, or the well designed air-conditioned double and twin cabins with their own en suite bathrooms. 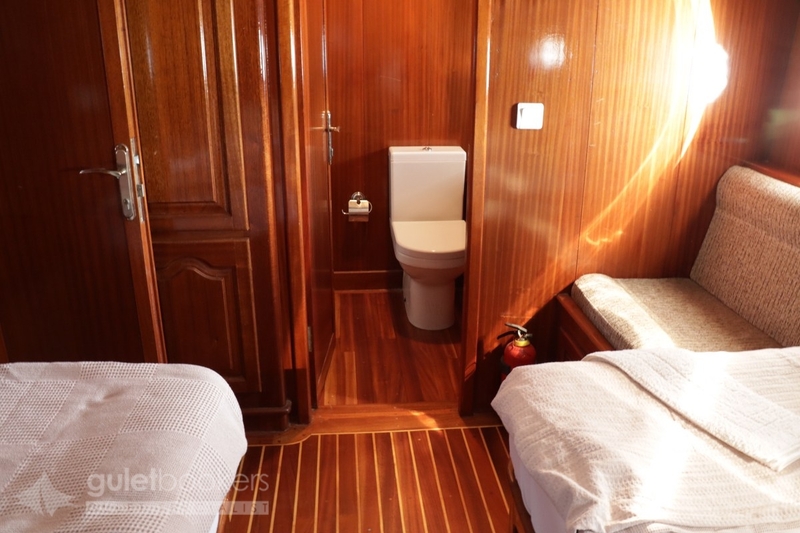 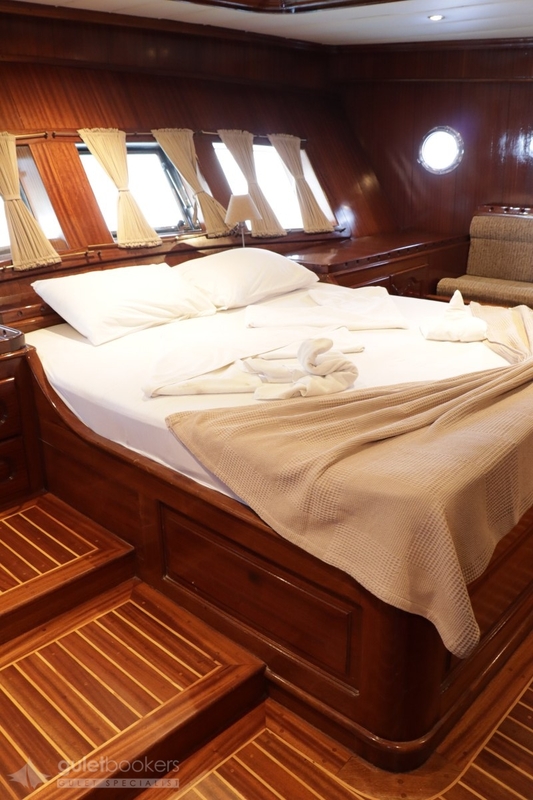 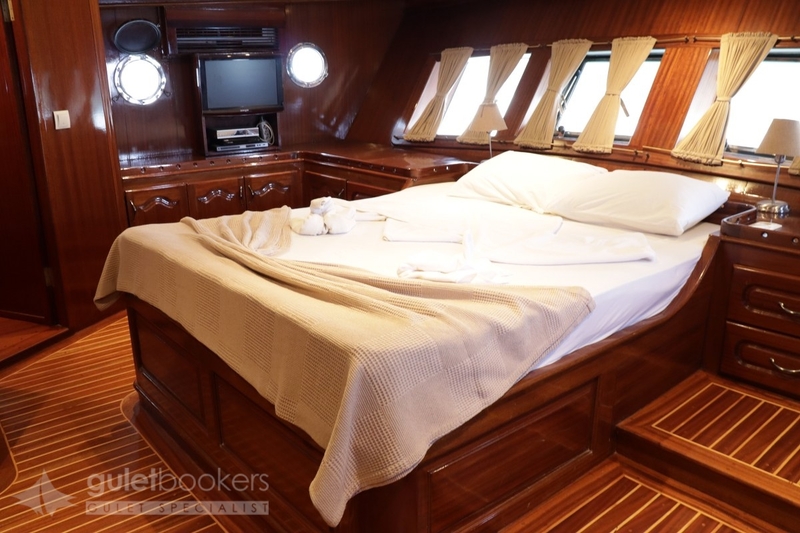 The master cabin with the centrally aligned bed enjoys ample space across the whole beam, with its own TV, bench seat and en suite bathroom, with the windows bringing in light and the sound of waves. 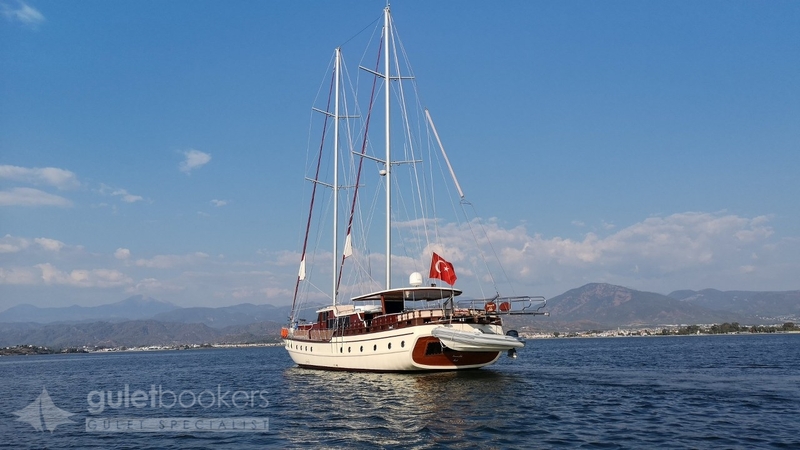 The captain and crew of two can take the Diamond Lila gulet on a cruise along the Turkish coast or nearby Greek Islands finding anchorages in quiet coves, beside historical sites or in local town harbours, or putting up the full set of sails for an extra experience, all adding a great mix to the holiday.